Nike+ Android app finally released! Hey, all you runners out there who have been tirelessly hoofing it, waiting for the Android version of the Nike+ app. It's here. Finally. Nike tonight announced the Nike+ Running App for Android, which, as you'd expect, connects you to nikeplus.com, making exercise social. But chances are you already knew that. Get your download on at the link below, and get back out there. Because there is no finish line. BEAVERTON, Ore.--(BUSINESS WIRE)--Today NIKE, Inc. (NYSE:NKE) announced the launch of the Nike+ Running App for Android, providing more runners with access to the world’s largest running club. The Nike+ Running App for Android connects seamlessly to nikeplus.com, which has been reengineered to be smarter, more social and more motivational. The app allows runners to track, share and compare their runs from anywhere, anytime. It features a smooth, intuitive user interface – tailored and optimized for Android – that hosts a number of features to enhance the running experience. The in-run navigation is seamless and simple, allowing runners to easily check key run stats, see their in-progress GPS maps, change songs or get audio feedback without missing a stride. “The expansion of Nike+ onto multiple mobile platforms will allow us to serve more runners than ever before. This opportunity will give even more athletes the chance to experience Nike+, which makes this an incredibly exciting time for the running community,” said Stefan Olander, Vice President, Digital Sport. The key focus in the app’s design is motivating runners. A “Next Moves” feature on the home screen allows runners to easily flip through suggested challenges: for example, to run their fastest 5k or go their farthest distance. A dynamic goal progress bar helps runners stay motivated and tracking on goals they’ve set up through their nikeplus.com profile. The app makes sharing to Facebook or Twitter fun with run summary features. Runners can choose from a wide variety of terrains and emotions, as well as tag which shoe they ran in to track shoe total mileage. And for runners recording climate conditions, the app automatically knows the weather based on GPS location. 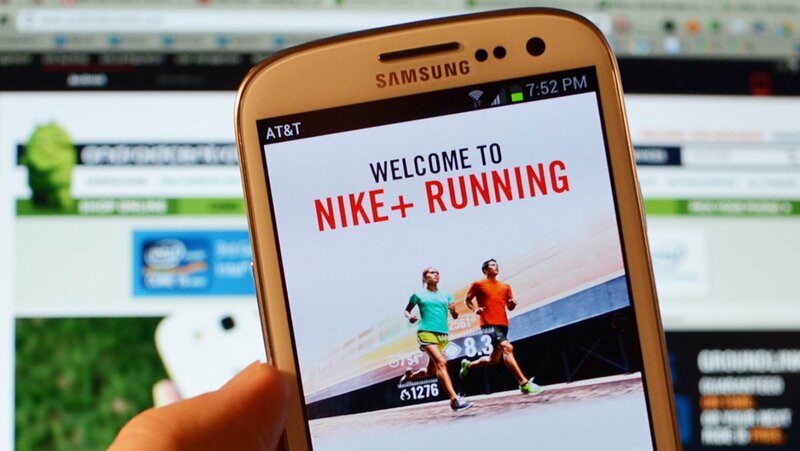 The Nike+ Running App for Android is available for free on Google Play. Initially launched for Running in 2006, the Nike+ community has grown to include approximately 7 million runners. Since its inception, Nike+ has expanded into a multi-sport ecosystem that includes Nike+ Basketball, Nike+ Training and the recently launched Nike+ Kinect Training. Athletes of every level can find a variety of products including a new range of colors in the Nike+ SportWatch GPS Powered by TomTom, and the Nike+ FuelBand, Nike+ Sportband, Nike+ Running Apps and iPod nano with Nike+. Multi-sport users can visit the single-destination nikeplus.com to access all their data – including lifetime NikeFuel points accumulated from all Nike+ devices – creating a globally connected community of sport.